Air travel has become a major part of our society, with industries and individuals depending on air transport for their livelihood. 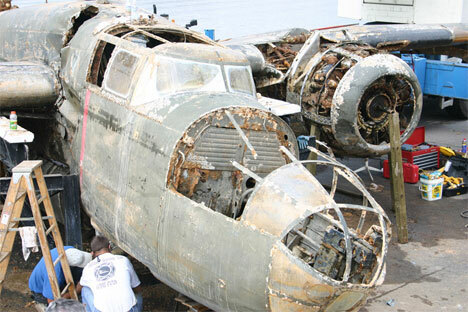 But have you ever wondered what happens to the artifacts of our airborne culture when they’re no longer needed? 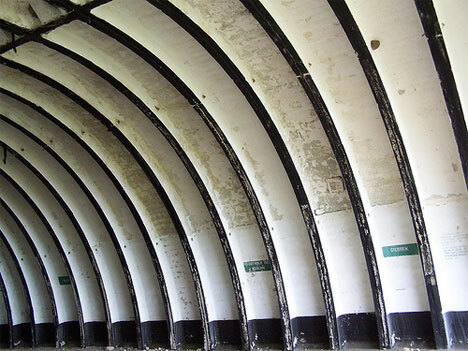 In many cases, they’re simply abandoned and forgotten. 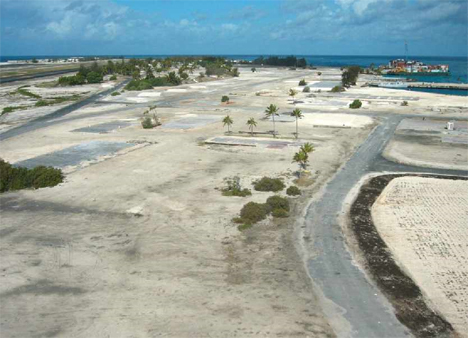 Military airfields often have a rich and complicated history, and Johnston Atoll is no exception. Located near Oahu, Johnston Atoll is one of the most isolated atolls in the world. 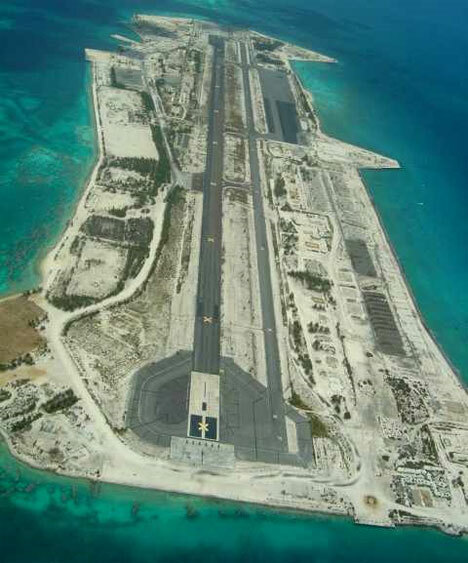 Johnston Island, the main island of the atoll, was once a military base and an emergency landing site for distressed aircraft. 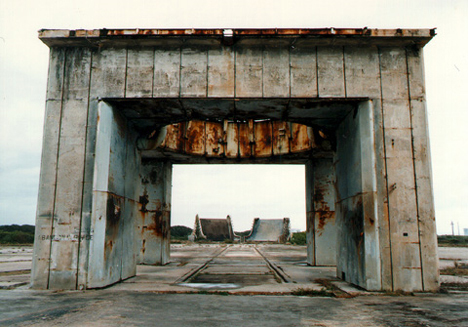 After changing hands several times between different branches of the military, the island was turned into a weapons disposal site in the late 1990s. 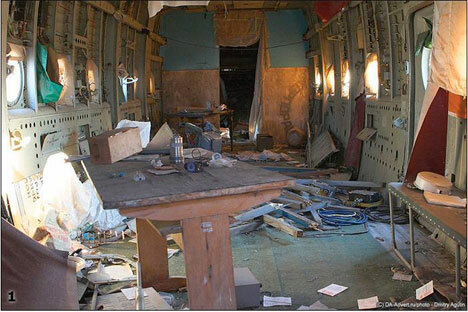 Today, the island is completely out of service for aircraft and is slated to be turned into a US wildlife refuge. 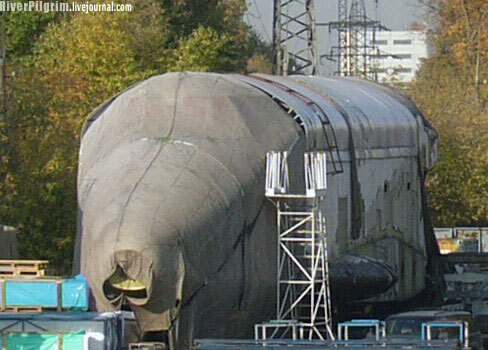 Kluczewo Airfield in Poland was built by the Luftwaffe in 1935 and later taken over by the Red Army. 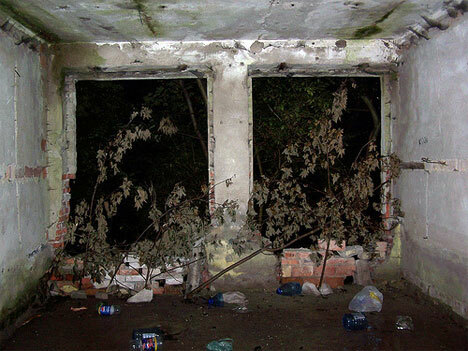 When the Soviet forces were finished with the base, it was abandoned and its condition rapidly declined. 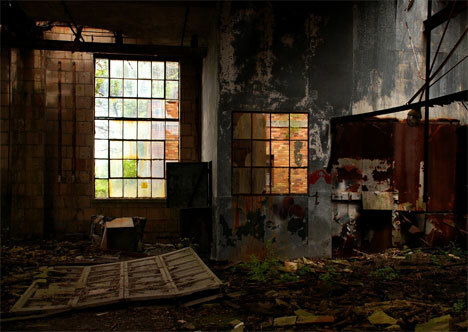 Today, Bridgestone owns the property and plans to demolish the existing military buildings and construct a tire factory on the site. 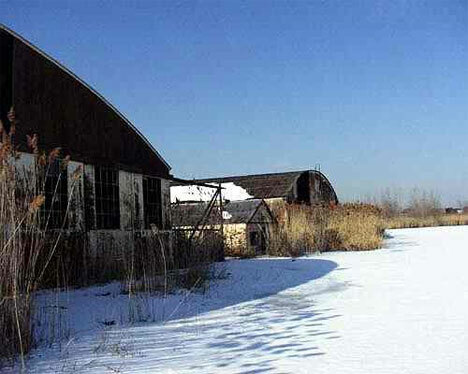 Flushing Airport in College Point, NY was once a bustling center of activity. Goodyear blimps operated from the facility in the 1960s and 1970s. 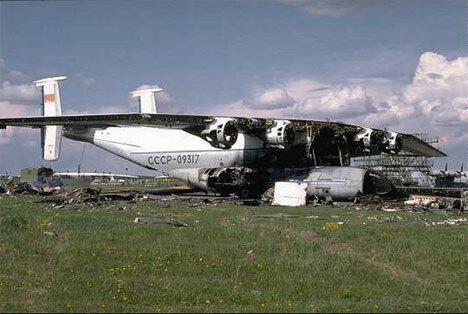 Due to frequent flooding (and partially due to a terrible crash at the airport) the site was closed in 1984. 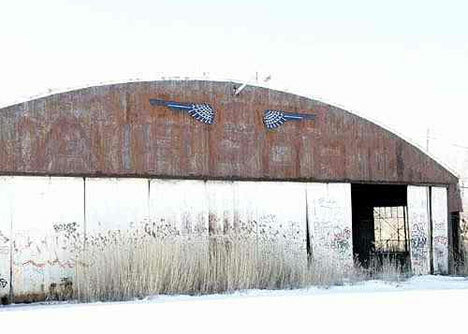 It has been abandoned and overrun with weeds for many years, but remained reserved as an airport with the FAA. 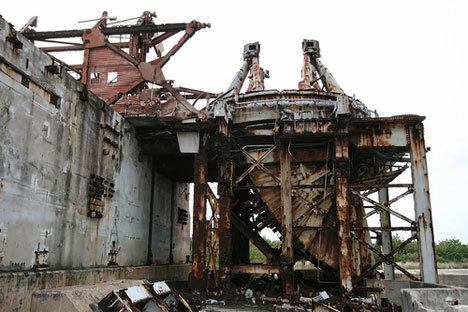 In September and October of 2008, the buildings on the site were finally demolished. 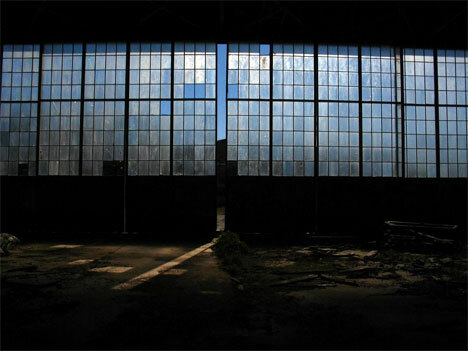 Floyd Bennett Field has the distinction of being the first municipal airport in New York City. It is no longer used as a commercial airport, but the NYPD uses it as a heliport, and the occasional plane does still land there. 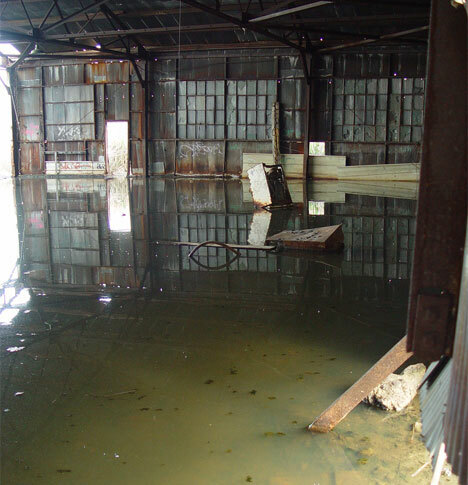 The hangars and other buildings were empty for many years, but recently some of them have been adapted as a recreation center and other community projects. 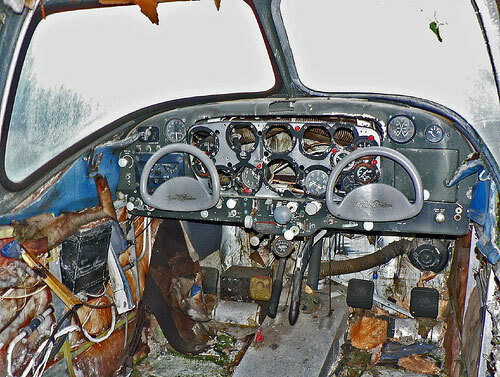 The northern parts of Canada and Alaska are doggone dangerous places to operate aircraft. 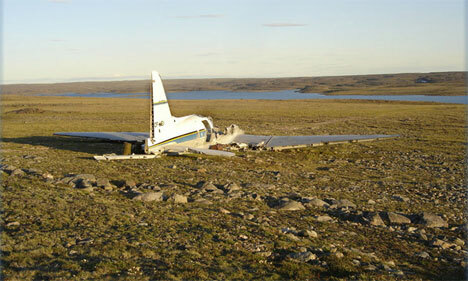 High winds, frighteningly low temperatures, and inhospitable terrain contribute to numerous crashes there. 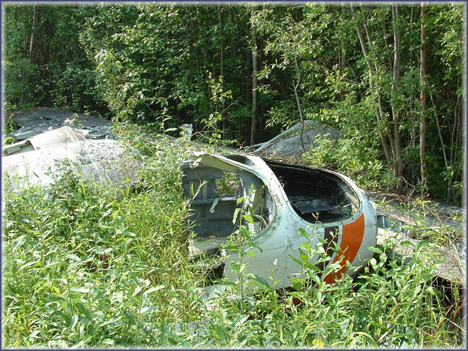 Retrieving the wreckage can often be impossible, due either to the remote location or financial considerations. 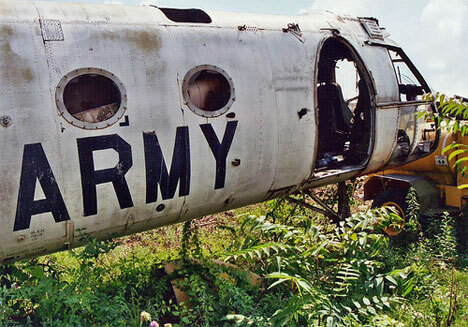 As a result, there are plenty of wrecked aircraft to be found in that part of the world. 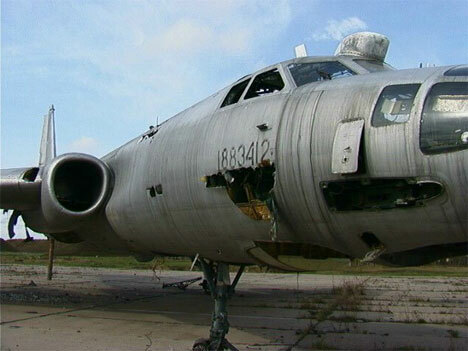 Russia is another place where abandoned aircraft aren’t too hard to find. 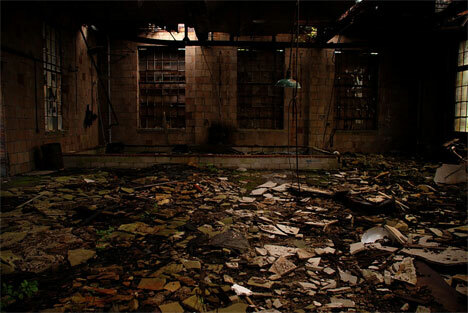 After the cold war, many entire military bases were abandoned along with the equipment and aircraft that used to be based there. 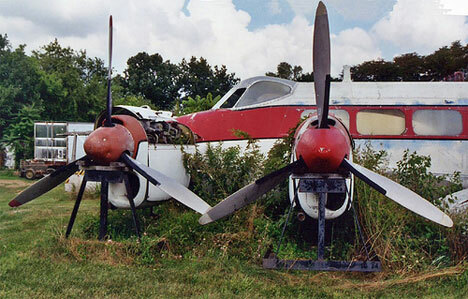 Some of these planes are used for scrap or for parts, but many just languish in their parking areas, and will probably continue to do so for all of the foreseeable future. 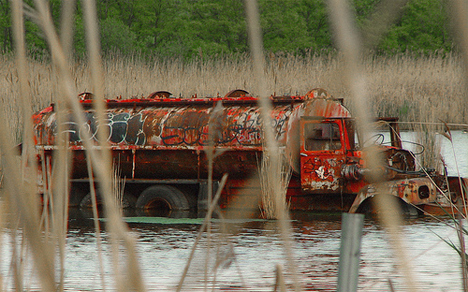 It’s hard to understand why equipment that obviously cost a lot of money to make and operate would simply be left to rust in a field somewhere. 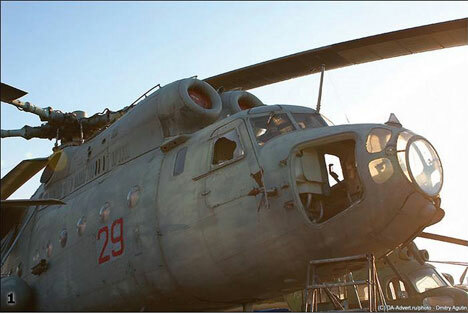 These Russian aircraft have a haunting appeal, though, and an indescribable kind of beauty. 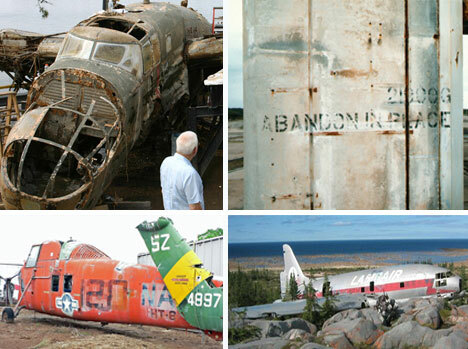 Aviation enthusiasts have a field day with aircraft boneyards. 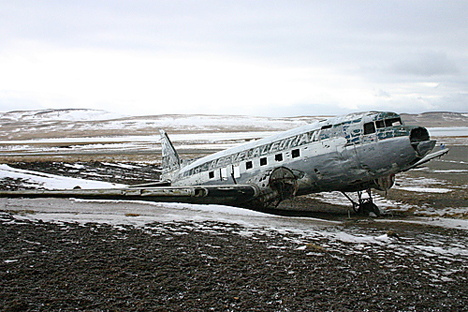 The boneyards are where planes go to die – or, more accurately, where they go to wait. 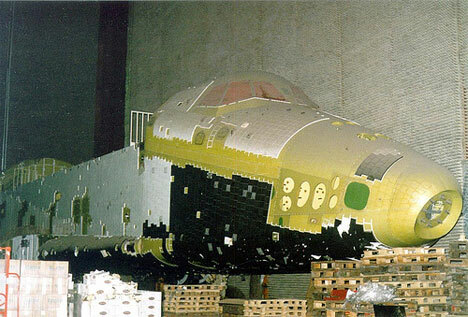 Most will be torn apart eventually and used for their parts and materials. 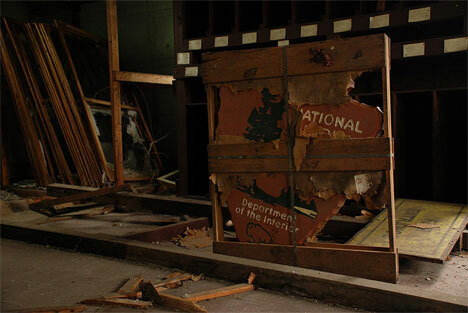 Some even find a second life as displays on military bases. And once in a while, they’re used for something truly creative like a recycled house. 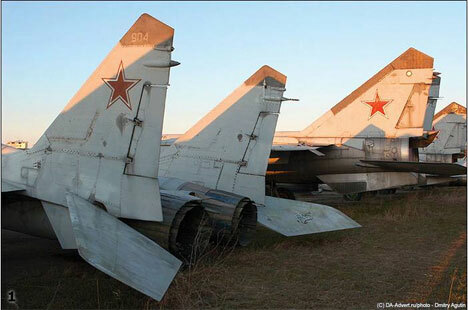 But before all of that happens, they provide the perfect photo opportunity for people eager to capture the sad tranquility of grounded aircraft. 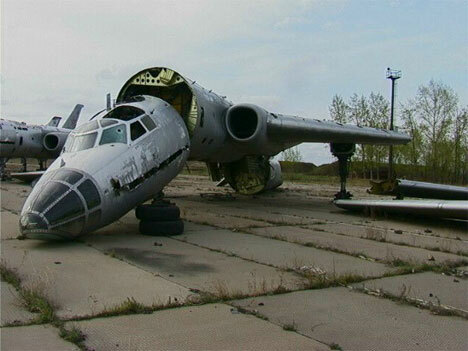 BBC)Not all aircraft abandonments are permanent. 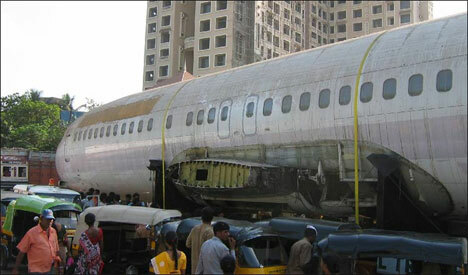 This Boeing 737 was being transported (sans wings) on a trailer to a private buyer through the streets of Mumbai. The driver asked for directions to his destination, but was mistakenly led down a street that contained an underpass too low for the plane to pass under. When the driver realized he couldn’t go forward and couldn’t turn around, he got out of the vehicle and walked off. 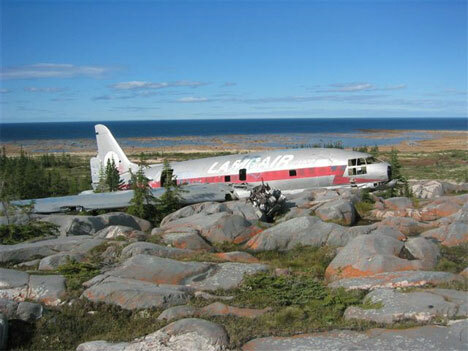 The plane sat for several days, disrupting local businesses and traffic, before disappearing in the night. 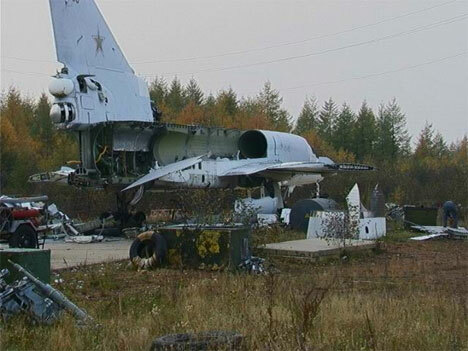 The eventual fate of airplanes is often uncertain when they are decommissioned, wrecked, or just abandoned. 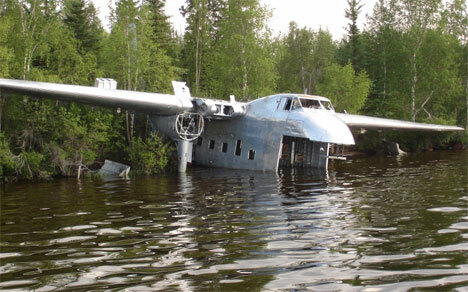 However, when a plane ends up at the bottom of a lake you might expect it to stay there. 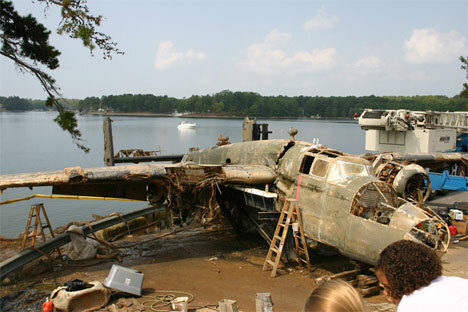 This B25 bomber was recently pulled out of Lake Murray in Lexington County, South Carolina. 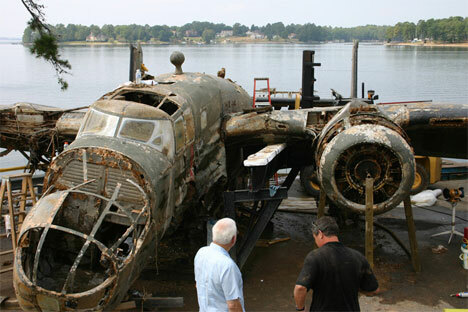 It was previously a military plane used for exercises and experiments, but later spent a lot of years on the bottom of the lake. 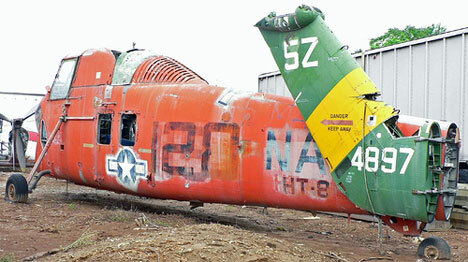 A private collector arranged this retrieval mission in order to display the plane for the public. 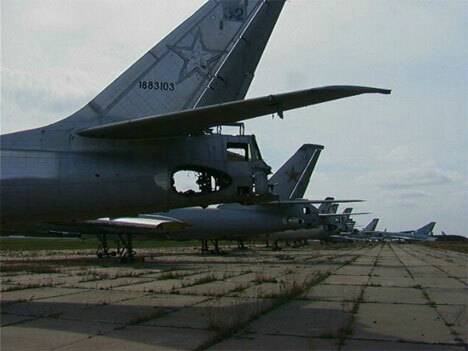 As fascinating as airplanes and helicopters are, the most amazing aircraft are actually those destined for space. 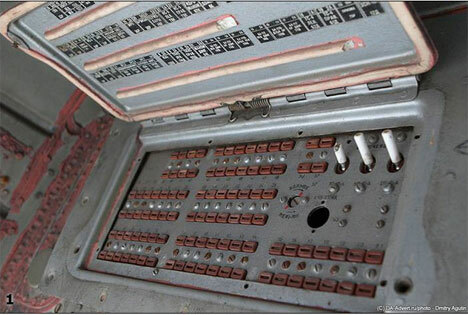 It’s a little shocking to think of how much time, effort and money went into the creation and building of these machines and how they are now little more than litter. 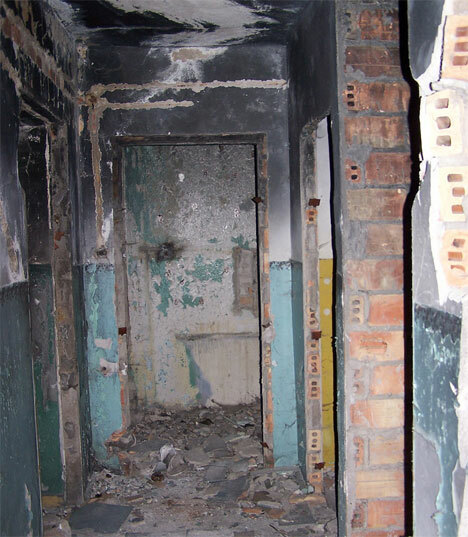 The facilities built to house, launch and control them are often abandoned as well. Hopefully they, too will find another life in the future.